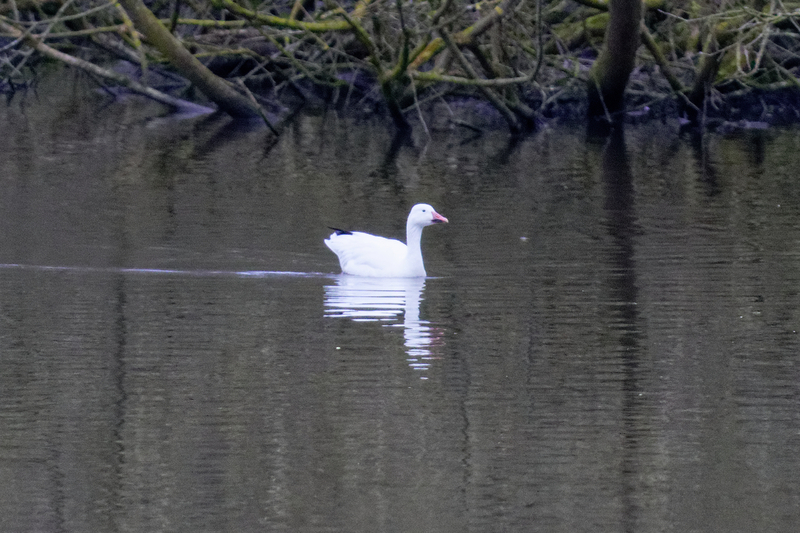 I think it is a Snow Goose, if anyone can confirm that would be great. 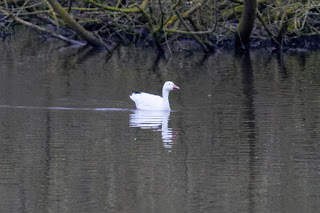 First saw it yesterday evening on the grass next to the lower lake, couldn't see any rings on the legs. Went back this evening to get a better look at it and found it swimming on the far side of the water. Looking at the table on the blog, it looks like it could be the one seen in Caersws on 21/03/2018. Yes I think likely to be the Caersws bird.